Over the past decades research findings in neuroscience, evolutionary biology, and child and educational psychology have been demonstrating that human beings are wired for empathy and that empathy can be learned and cultivated over the course of our lives. However, as a recent study at the University of Michigan revealed, since the early 1980s, there has been a drastic decline in empathy levels among young Americans, with the steepest drop emerging in the last ten years. This regression raises a serious question about modern times: Given the growth of social networks and a wealth of information regarding the human struggles around the world, aren’t the youth—and aren’t we all—supposed to feel more connected and globally aware, and thus, more empathic? Oral history has the power to defy this danger and undo the deadening by arousing psychological resonance and awakening moral imagination. When we encounter an intimate first-person narrative and get a glimpse of someone’s everyday hopes and fears amidst a disaster, we are once again able to focus and empathize, says author Dave Eggers. Eggers is the co-founder of Voice of Witness, a non-profit organization that produces oral history books and educational resources which illuminate human rights crisis in the U.S. and around the globe. The mission of the organization is to amplify the stories of the unheard and thus inspire more nuanced, empathy-based relationships with the world—relationships that call on us to bear witness to its suffering. 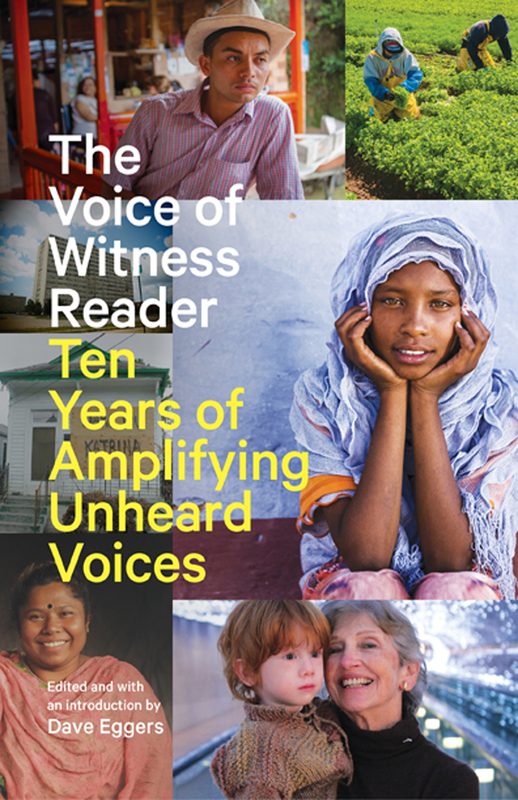 Over the past decade, the Voice of Witness book series has shared the stories of residents of Burma, Bangladesh, Sudan, Zimbabwe, Haiti, Chicago, New Orleans; of prisoners, refugees, sweatshop workers, undocumented immigrants, and more. The books ensure that the stories always reflect the narrator’s authentic voice. With keen attention to detail and depth of feeling, each account not only underscores the complexity of the social, political, or economic situations at hand, but also of human experience. Reading these first-person stories urges one to actively imagine into the hearts, minds, and everyday lives of the narrators and identify with them. The power of such empathy-based understanding of human rights is that it fosters new levels of awareness and engagement, which can then inform our encounters and actions within our communities. Reaching tomorrow’s leaders, teachers, activists, and peace psychologists in America is essential to Voice of Witness’s long-term mission. With its Common Core-aligned curriculum and oral history trainings, its education program seeks to stir the intellect and imagination of students for a greater consciousness of class conflict, racial injustice, ethnic discrimination, and sexual inequality. 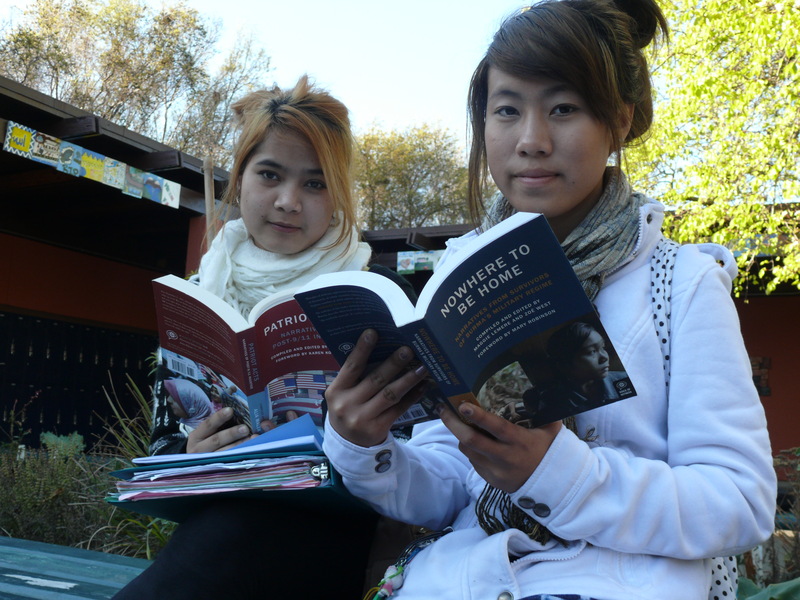 Working with Voice of Witness books, the youth strengthen their capacity for authentic, compassionate listening. They better understand their relationship to issues in their own communities and around the world. And they learn to amplify the unheard stories of their own communities. This way, reflects the education program director Cliff Mayotte, the students become empowered with a “participatory vision of history.” This vision encourages their civic engagement and identification as global citizens. Ultimately, only such global citizens with empathy as part of their community ethos will have the will and ability to bring the world more peace. For more information on Voice of Witness’s book series and education program, please visit http://www.voiceofwitness.org. Eggers, D. (2015). Introduction. In The Voice of Witness Reader (pp. 9-28). San Francisco, CA:	McSweeney’s. Krznaric, R. (2014). Empathy: Why it matters, and how to get it. New York, NY: Perigee. Macy, J. (2011). The greatest danger. In K. L. Carrington & S. Griffin (Eds. ), Transforming terror: Remembering the soul of the world (pp. 337-340). Berkeley, CA: University of California Press.